Can-D Food Co take sustainable Scottish farmed salmon and slice it against the grain. It is dry cured, then brined in a special mix of salt, honey and maple syrup. Finally it’s air dried and smoked over whisky barrel oak, creating a uniquely flavoured sweet-savoury treat. 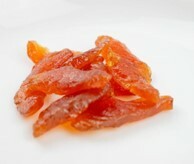 Candied Smoked Salmon has a unique flavour and texture, it’s low in saturated fat and packed with zinc, vitamin D and omega 3 fatty acids. 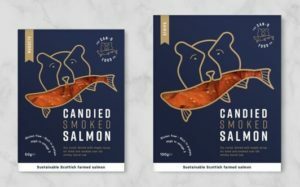 The team completed extensive testing and development to get the perfect flavour and texture, the result is the first commercially-available candied smoked salmon in Europe. 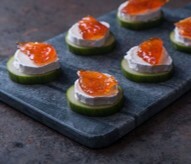 It’s a perfect addition to a canape or delicious as a snack with a cold beer or glass of chilled fizz.